Bath Fizzies with mystery toy surprises inside?! What’s not to love! 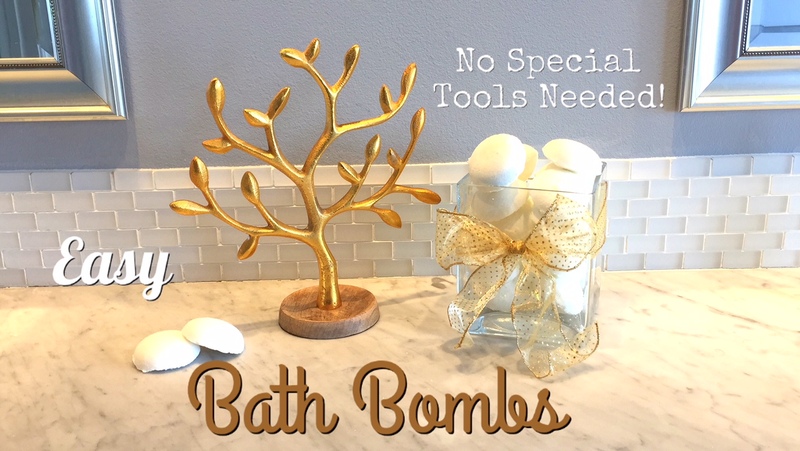 This is a fun twist on bath bombs and sure to delight those reluctant bath takers. I made these with my 11-year-old son and 7-year-old daughter, and they had a great time doing this project. I was surprised how much my 11-year-old liked making these and more so found him to be quite a good helper. Once he made the first batch with me, he went on to make another three batches on his own! He and his sister filled them with tiny unicorns, fairies and princesses. The toys were purchased from the Target Dollar Spot for $3.00 for each tub. Since our Mr. Teal’s epsom salt was already scented, I opted to not add any essential oils, but playing around with different combinations is half the fun. I also opted to leave them un-dyed for health and to ease clean up. This recipe is easy, and most things can be found in the grocery. Citric acid is probably the hardest thing to find, but we got ours from a local grocery store. Amazon not only sells all the supplies you’ll need including essential oils, they have a nice assortment of bath bomb molds. While we chose to supplies we had on hand, after doing this project, I fully intend to invest in some medium metal bath bomb balls. Thoroughly mix dry ingredients. Mix wet ingredients. Very slowly pour wet ingredients into dry ingredients. Shape and compact it with your hands. Release from mold and let dry completely for 24 hours before using. Store in a dry place. Troubleshooting tips. If your mixture isn’t holding together, try packing it hard in your mold first. If it still crumbles out, let it set for a few hours. Or, if you don’t want to do that because you only have a few molds, add an additional 1/2 teaspoon of water mixed with 1/2 teaspoon of coconut. Avoid adding too much more. Additional coconut oil may prevent the fizzing process and too much water will dissolve your bath fizzies before they get used.